These recordings have been languishing in the vaults of South West German Radio for 17 years. Made (analogically) in 1986, they present the Hungarian-born principal viola of the Stuttgart State Orchestra and his Argentinian piano partner in two staple works of the repertoire. These are warm, ripe readings, the players unafraid of indulging in agogic variations of an agreeably old-fashioned kind. Brahms’s viola part takes many passages an octave down from the clarinet original, not always to the best effect: in many places a descending phrase has to go up again when it reaches the end of the viola’s register. Vidor Nagy restores the orignal clarinet register on a number of occasions, though not always when you would expect it and – especially in the E flat major Sonata – not often enough. The interplay between piano and solo instrument works best as Brahms wrote it. Maybe he didn’t quite trust the average violist of his day! He wouldn’t have any qualms about Vidor Nagy’s playing, though, with its variety of tone colours and ample dynamics. The recording has the viola nicely embedded within the piano sound and there are no balance problems. 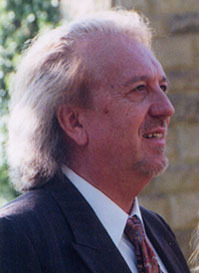 The booklet includes a typically erudite article by Ulrich Drüner on the composition and first performance on both pieces, which Drüner sees as “dialectically” conceived. On the whole this recording, obviously a labour of love from all concerned, more than holds it own against one from more famous names.